Spent about 2 hours yesterday gathering up items from the Discovery Transmog. 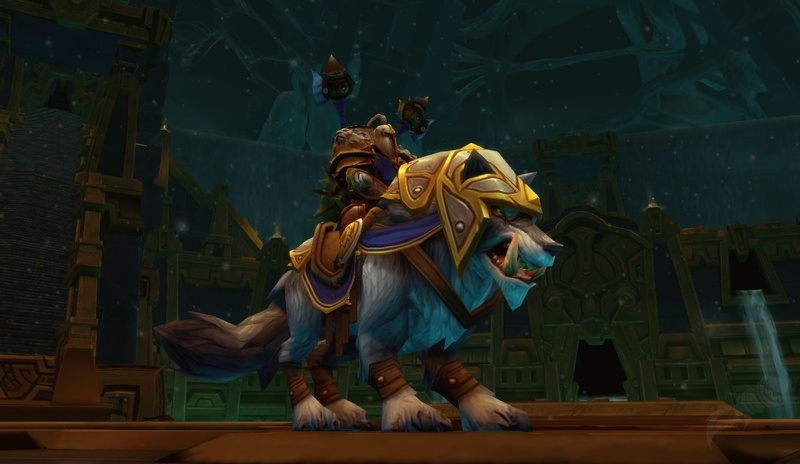 The beauty of this set (especially if you haven't quested during leveling up) is that all the pieces drop from quests and not random drops off mobs. I've gotten 4 of 6 pieces so far and found a belt on the AH that I like (so far). Head piece is from a single quest given by Rayne in Eastern Plaguelands. At 90, I could fly directly into the towers, drop the flower seeds and run back out. The chest and shoulders are rewards from a short 5-quest chain near Rayne, starting at Carlin Redpath and ending at Chromie. 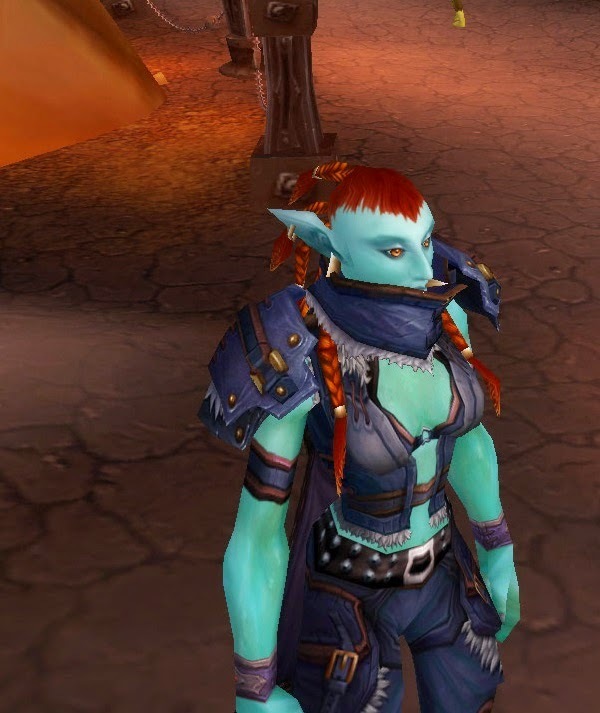 The shoulders come from a mob kill which show how questing has changed since Vanilla. One player, one kill vs multi-players, shared kill. Had to wait for respawn on the wolf for about 45 seconds before I could get my own kill. The pants required flying south from Orgrimmar down to Gadgetzan and finding Megs. She had 3 quests for me, then she moved to Lost Rigger Cove for Dead Man's Chest. For the cape, someone mentioned using the Cape of the Black Baron (boss drop). Happily, I had the Inherited Cape of the Black Baron from leveling up, so I simply applied that. It does look nice. Lastly, hands, standing near Gus, is Mazoga. He has a short chain of 4 quests to reach Secrets of the Oasis. After putting it all together, Esha HAD to get her hair colored and styled. She had a blue ponytail and it looked ridiculous with that head piece. The Armory still has her the old way.. As of now she's sporting red dreadlocks and less pronounced tusks.